HardEasy track, but long, with a 1,000 metres ascent. 5/5So beautiful it can't be true. 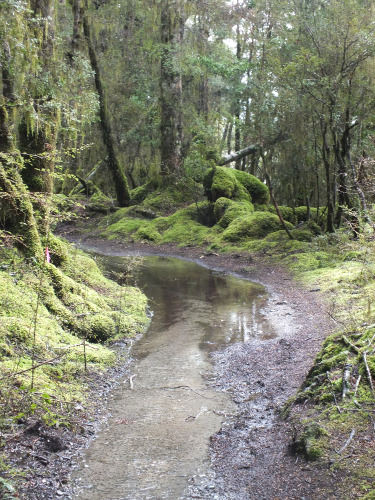 Trailhead: Kepler Track car park (Lake Te Anau Control Gates). Access: by car, bicycle or foot (you can walk the 6 kms from the city centre, but this would make for a very long and hard day walk). Some private operators have a shuttle running from the town. Facilities: drop toilets and water tanks at the car park. Toilets, water, shelter and a large dining room at Luxmore Hut. 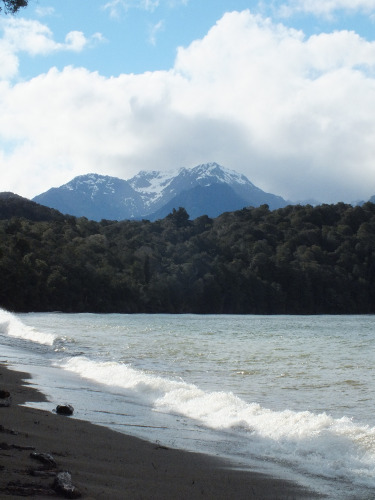 Nearest town is Te Anau, 6 kms from the car park. Warnings: this is a long walk with a 1,000 meters climb, make sure to start early. Mt Luxmore is exposed, it might (and will) be windy, and cold. You might even have some snow above the bush line. Bring two lights (a headlamp and a phone will make it) per person if you want to explore the Luxmore Cave (in case your first light is lost or out of battery, you don’t want to have to find the cave exit in the dark, trust me). New Zealand have a few long walks that they call “Great Walks”. They might be great yes, but they are also really expensive, with more than NZ$50 to pay for a night in the huts along the way. Outside the walking season, it’s more reasonable at $15 a night, but this is during the winter season. So you might not want to walk in the mountains in winter, with the snow, the avalanches and the cold (although most huts have fireplaces). One solution if you want to have a glimpse of a great walk without the hassle of having to book a bunk bed, fill a heavy backpack with food and gear for a couple of days, is to just walk a part of it as a day walk. 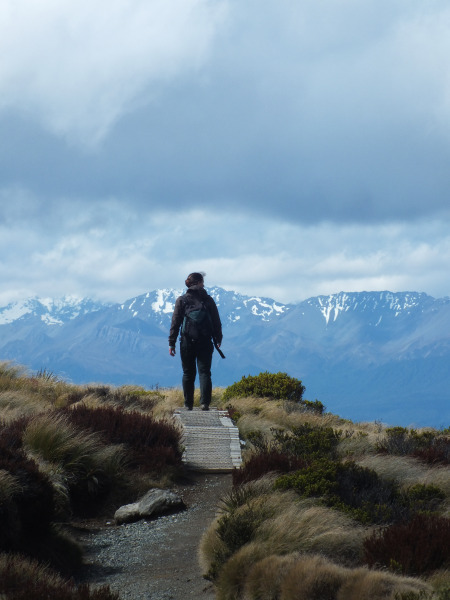 This is what the Luxmore Hut walk is: walking only one step of the three day Kepler Track. 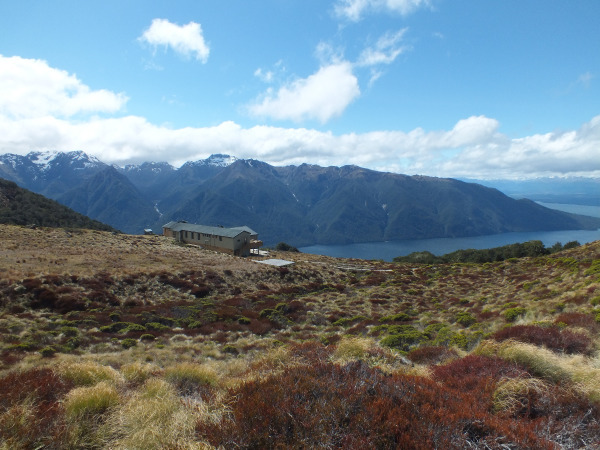 This is not the worst part of the track either, as it will provide you with amazing views of the Te Anau lake and you will be able to enjoy a meal in the Luxmore Hut and do a visit to the nice Luxmore Cave as well. The good news is that Great Walks are using well maintained tracks, and you are less likely to have to walk through 50 cm deep mud. But well, New Zealand is a wet place, and you will probably still get your feet wet at one point. The bad news is that because the walk was intended as a one-day trip out of a three day long walk, it is already quite long, and returning is even longer. 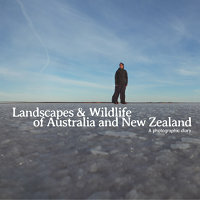 When we read in a book of Mark Pickering that it was a 18 kilometres long walk that you can do in 7 to 8 hours, we thought “yeah that seems a bit hard, but I think we can do it”. What we didn’t know at that time is that there’s a typo in the book (just one out of too many, is anyone reading books anymore before printing them? ), and it’s not a 18 km walk, but a 28 km walk. With a 1,000 metres ascent. Suddenly it appears a lot harder when you read it like that. But it’s still manageable, just remember to wake up and start early, not like us. And you will be rewarded with an amazing experience. From the car park cross to the control gates and walk on the mostly flat track. After 1 hr 15 minutes you reach the Brod Bay campsite, a nice place to eat a bit, with an open kitchen, tables, drop toilets and the sound of the rolling waves of the lake nearby. Continue through the dense wet forest, and soon enough the track begins its ascent to the top. You will then reach an escarpment, and after walking at its base you’ll have to climb some stairs. A couple of kilometres later you leave the trees and cross the bushline. Immediately the landscape opens around you and it is magnificent, with snow-topped mountains all around and the lake in the valleys. You will be glad to have ascended that much in the last 3 hours. If you are lucky you then have a nice and easy 45 minutes stroll to reach Luxmore Hut. But if you are not, like us, wind gusts will slow you down and walking forward will just seem to be the hardest thing to do. Two minutes ago you swore the forest was so boring you hoped to get to the bushline at every step, but now you just secretly want to walk back to the protection of the trees. Because going one step forward is often followed by two steps backward as the wind pushes you the other way, it just seems crawling on the ground would be more effective. 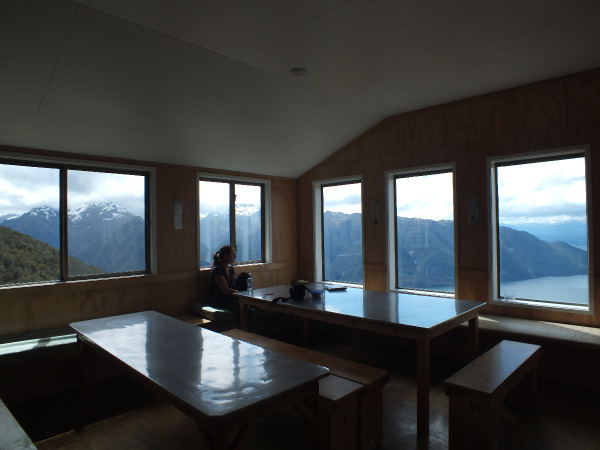 But finally you reach the hut, and you can eat your meal in a large empty dining room with stunning views. That’s the reward for going against that wind. Once you fed the great tramper living inside you (yes you just walked 14 k’s ! ), and considering you have enough time to come back before dark (allow 3 to 4 hours), a nice exploration of the Luxmore Cave awaits. Fill the hut guestbook with your walking intentions, just in case something happens to you. The track to the cave is well signed and maintained from the hut. 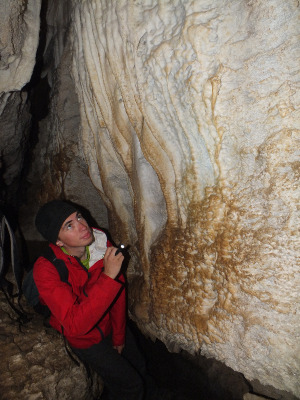 In the cave be careful not to touch the concretions on the walls and the ceiling, as you might just destroy them with the bacteria you are carrying. And be careful as it is slippery. The rest of the adventure is quite easy: go back to the hut, then retrace your steps along the track back to the carpark. Only difference is that the wind may be pushing you forward this time, yeah! Back at the carpark you’ll be glad you scaled this walk, and you’ll just hope to finally be able to sleep after 8 to 9 hours of walking.